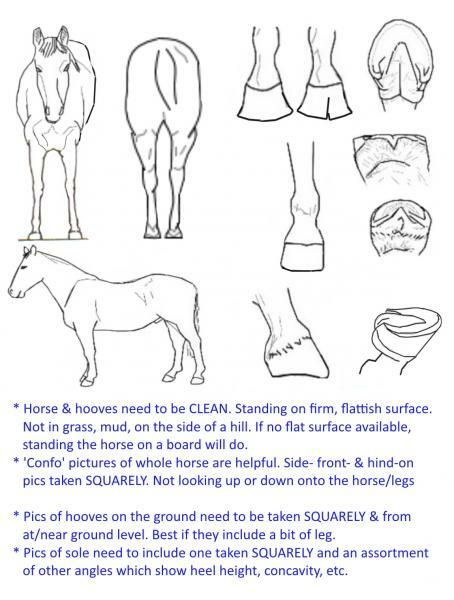 I live in an area that’s pretty isolated and there are no nearby saddle shops or saddle makers. I have a 6 year old Gypsian mare and can’t find a saddle. I ordered a Wintec Synthetic FQHB 18” western saddle that was too long and too wide. Then I ordered a Hilason Treeless Endurance saddle with pad thinking that it would definitely fit but i couldn’t find a small enough cinch to fit (the front rigging dee’s are located very low on the saddle). I can’t get the cinch tightened enough to even mount her without the saddle rolling. I know both the saddles I ordered were cheaper, but they had good return policies which I needed that in order to try them out. Does anyone else have a Gypsian that understand the type of back I’m trying to fit??? Hi, I don't have a Gypsian - do you mean a Gypsy Cob? If not, I don't know what they are even. Yes, Western saddles of a decent seat size - 18" is very big - are very often too long for shorter backed horses. So if you need a big seat, yeah either treeless or an English style would likely be necessary. I will post a diagram pic showing where the saddle should be in relation to the skeleton so you can work out how long a saddle can be for her. Note the yellow line I drew on the back of the scapula is a cartilage extension & the saddle tree much clear that too, with some to spare, because the scapula also moves backwards at the top when the horse extends it's leg. The weightbearing portion of the saddle should not extend much if at all onto the lumbar spine either. Treeless saddles should not be done up too tightly, and having no internal frame, may well slide if you mount from the ground by trying to step up with weight on one stirrup. *Not that it's good for a horse to hang off one side of a treed saddle either. If you can't 'bounce up', whether with a treed or treeless, you should use a mounting block. Last edited by loosie; 07-22-2018 at 05:16 AM. Gypsians are apparently a thing! Never heard of them before. Gypsy/Friesian cross. loosie and Knave like this. Wow! I looked them up; very neat!! On a side note, not that I’m much a treeless fan or even have any experience with them, you can get really short cinches. I ordered one for my English saddle that was so short I ended up using it to teach a weanling to carry a saddle. loosie and Cordillera Cowboy like this. Oh, sorry, I see western now. Still, I also own a very short little mohair cinch we used for the pony. They make them. You can get 26" or shorter western cinches for ponies. My Paso Fino uses a 28" western and I've had no trouble finding them online. You may want to consider an Australian saddle with the serge/stuffed panels. I had to go this route to find a saddle that was large enough for my seat but still short enough for my little horse's back. loosie, Cordillera Cowboy and Knave like this. AnitaAnne, gunslinger, Rawhide and 3 others like this. Just wanted to say WOW, she's beautiful! Thank you!! There aren’t a lot of them out there so I don’t know who to ask for info on saddle and training.